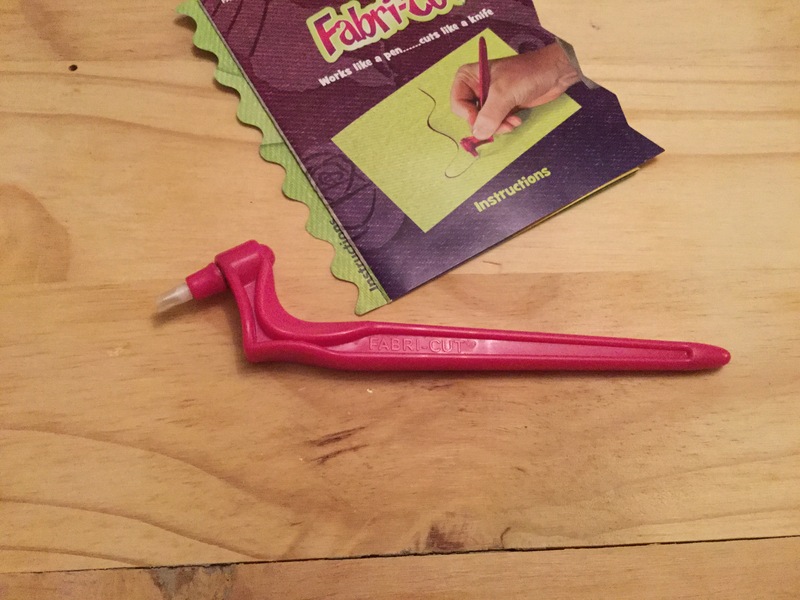 I went to the Fashion, Embroidery and Stitch and Hobbycrafts show at the NEC, and discovered an intriguing tool, the Fabri-cut by Crafty Products. After watching a demo and having a go, I decided to purchase one. I’ve had a chance to try it out, and I am impressed. 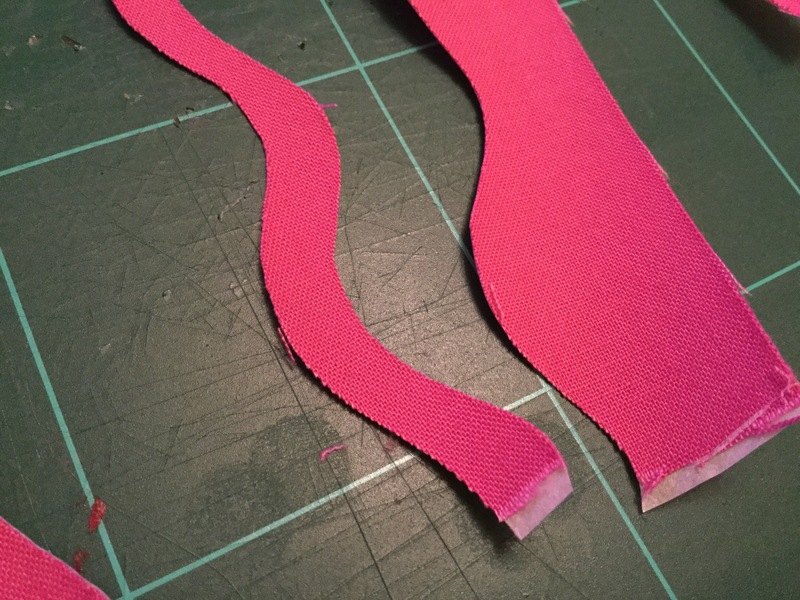 I backed some fabric with bondaweb, both a piece of pink scrap cotton, and a piece of my own hand printed fabric. The swivelling blade makes it easy to cut wiggly lines. 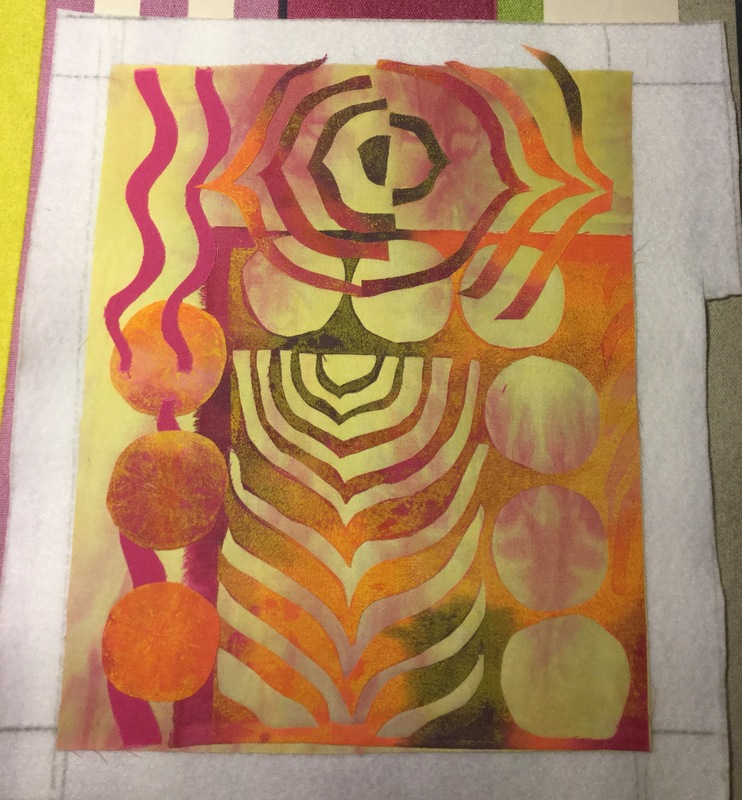 This gave me plenty of collage fodder, already backed with bondaweb, so I laid out the below piece, on a backing of hand-dyed fabric from Images of Egypt that I’d also purchased at the show. The Fabri-cut made it easy to make this collage with plenty of smooth, intricate cuts. 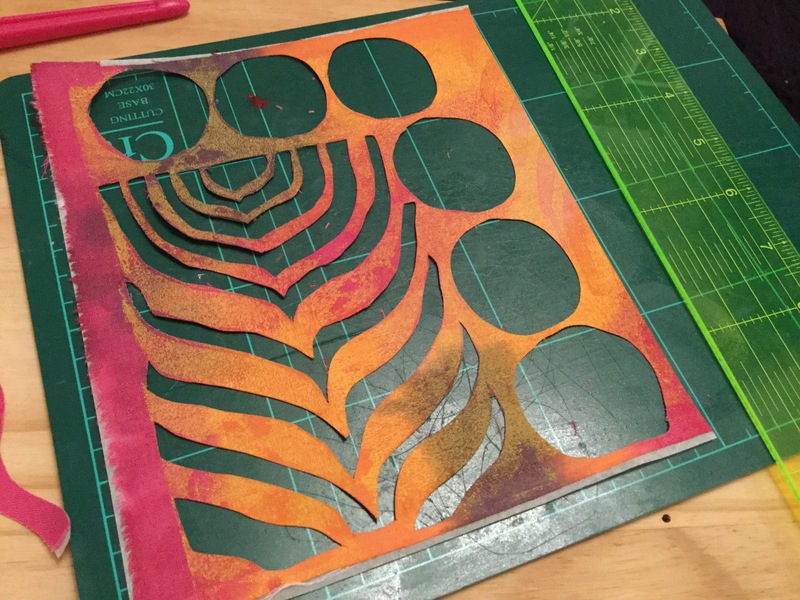 I think it will be a useful tool to use in the future, and I think I may also buy the paper cutting tool too. Ensure the bondaweb backing is well stuck down throughout – any bubbles or poorly adhered patches will cause the blade to skip. Hold the handle and apply an even, medium pressure, allowing it to swivel for curves, rather than trying to drag it to a new position. 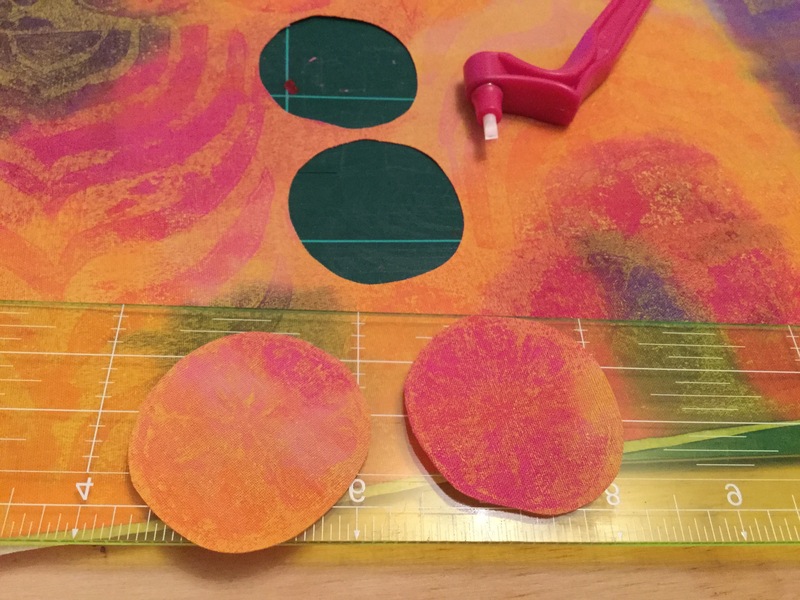 Crafty Products also sell a glue that you can apply, to the cutting mat to make it sticky. This was handy to help the fabric stay put.